Professor Colin Watts leads the newly established Brain Cancer Program at the University of Birmingham. His research aims to improve the treatment and survival of patients with glioma by understanding the molecular genetic heterogeneity of individual tumours and using that data to develop novel molecular and functional stratification suitable for application in clinical trials. His clinical practice specializes in neurosurgical oncology with a particular interest in intrinsic gliomas and cerebral metastases. Prof Watts qualified from the University of Newcastle upon Tyne and trained in neurosurgery in Cambridge and London where he completed his specialist training in 2004. He was awarded his doctorate from the University of Cambridge in 1999 and appointed as an MRC Clinician Scientist in 2004. 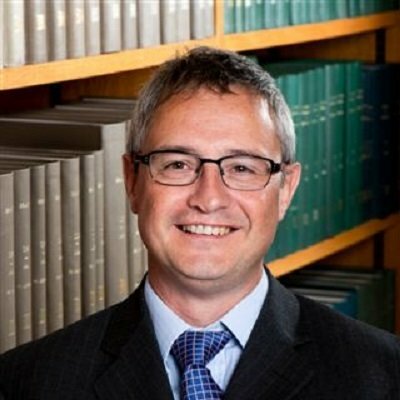 He became a HEFCE Clinical Senior Lecture in 2010 and was appointed Associate Professor in Neurosurgical Oncology University of Cambridge in 2016. He has published over 160 papers, articles, book chapters and reviews and serves on the editorial boards of Neuro-oncology and the European Journal of Surgical Oncology. He has received over £3.6M research funding as an academic consultant and was awarded the SNO translational research prize in 2013 for his work in evolutionary genomics of glioblastoma. As a practicing neurosurgeon Prof Watts has established a dedicated neurosurgical-oncology research clinic to support clinical trials and collaborative translational research. Ongoing clinical research uses fluorescence-guided techniques to optimize cytoreduction, develop surgical biomarkers of high-grade cancer, and enhance post-operative management of glioma patients through accelerated molecular stratification. His translational research interests are to understand the spatial and temporal evolution of tumour heterogeneity and the impact of sampling bias on our understanding of the clonal architecture and phylogeny of treatment-resistant disease. Weller M, van den Bent M, Tonn JC, Stupp R, Preusser M, Cohen-Jonathan-Moyal E, Henriksson R, Rhun EL, Balana C, Chinot O, Bendszus M, Reijneveld JC, Dhermain F, French P, Marosi C, Watts C, Oberg I, Pilkington G, Baumert BG, Taphoorn MJB, Hegi M, Westphal M, Reifenberger G, Soffietti R, Wick W, European Association for Neuro-Oncology Task Force on G. European Association for Neuro-Oncology (EANO) guideline on the diagnosis and treatment of adult astrocytic and oligodendroglial gliomas. Lancet Oncol 2017;18(6):e315-e29. Sinha R, Sage W, Watts C. The evolving clinical management of cerebral metastases. Eur J Surg Oncol 2017;43(7):1173-85. Nourallah B, Digpal R, Jena R, Watts C. Irradiating the Subventricular Zone in Glioblastoma Patients: Is there a Case for a Clinical Trial? Clin Oncol (R Coll Radiol) 2017;29(1):26-33. Le Rhun E, Weller M, Brandsma D, Van den Bent M, de Azambuja E, Henriksson R, Boulanger T, Peters S, Watts C, Wick W, Wesseling P, Ruda R, Preusser M, Board EE, Committee EG. EANO-ESMO Clinical Practice Guidelines for diagnosis, treatment and follow-up of patients with leptomeningeal metastasis from solid tumours. Ann Oncol 2017;28(suppl_4):iv84-iv99.